A number of folks have lamented the fact that the Delving Deeper rules have not arrived in time for their PBP or table top games, and I'm as keen as anyone to get the dice tumbling. With the DD PDFs "this close!" to being ready, John, Cameron and Dave have all kindly given their blessing for me to kick off some prepress gaming action. I have their permission to discuss the rules in detail and also to post snippets from the prepress PDFs to get your games up and running. So if you need details to get your DD game up prepress, ask away! 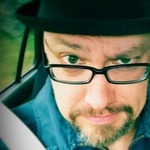 I will do my best to answer your prepress questions. 1. 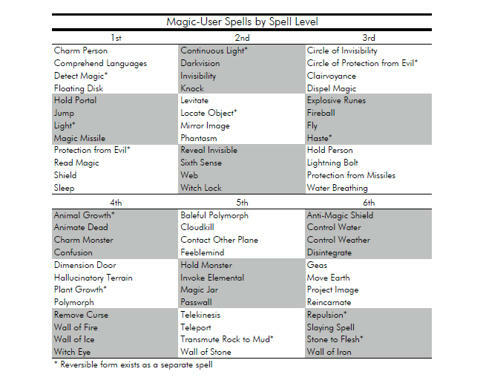 In the DD rules, will Magic Missile be available as a 3rd level spell, or other Greyhawk spells? 2. Are there general guidelines for demi-human multi-classing and human dual-classing? 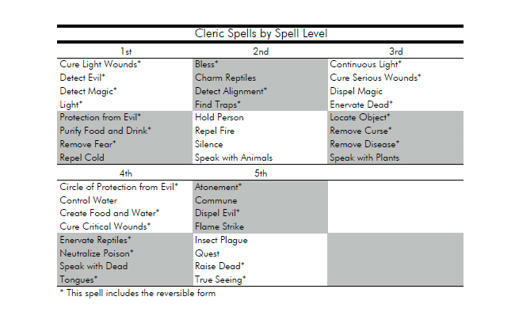 Spells selection for DD was complicated somewhat by the fact that DD is derived entirely from the d20 SRD in which spells are arranged and named differently to OD&D. We arrived at what we felt was a well rounded spell list for original play which are all named without infringing on anyone's IP. The list does include a few spells not found in the 3LBBs, but referees always have the option of ignoring those if they wish. We suspect that many will choose not to. Magic missile was discussed particularly, because it introduces the concept of a "damage dealing" 1st level spell to the game which doesn't appear in the 3LBBs. After much deliberation, we decided to include it as it isn't a game breaker by any means. In fact, it is a bit of a sand trap for inexperienced players, being something of a "wasteful" spell at low levels given that a mundane missile can achieve the same result without expending a valuable spell slot. Yes, there are, and they are aligned very closely with the original. I.e., "dual classed" characters are allowed at the referee's discretion. Should the referee allow it, humans require a minimal score of 16 in the prime requisite ability of the class they wish to change to. Non-humans (e.g., elves and so on) have no ability requirement -- but should have level limits instead. Magic-users cannot become clerics, nor vice versa. A dual classed character must maintain two experience point totals, one for each class. He can "change" class (for the purpose of which class XP are accumulated in) only between adventures. 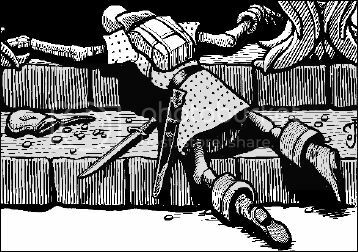 During an adventure has has the benefits of both classes simultaneously, excepting that: a magic-user (other than an elf wearing magical armour) must always go unarmoured, a thief is always restricted to leather armour, and a cleric is always restricted to clerical weaponry. I think that is pretty much it. Of course, exactly the same applies to dual-classed elves. Count me in! I'm getting ready to begin an on-going "open campaign" of Dads and sons and was debating whether I was using 3lbb's or LabLord. Either would be fine, but I'd been hoping and waiting for DD! [edited to add] I'd also be more than happy to sign and honor a non-disclosure/non-distribution statement. We also did play-testing for Larry Moore's "BareBones Fantasy Game earlier in the year." Things have settled down for me a great deal, so I might be interested in starting a PBP game (and seeing it through this time...). A back-to-basics DD game might be the trick. verhaden, are you planning to use these boards? If so, I'm interested! Any chance the PDF's will get out BEFORE the final product get printed? I'm thinking about the fact that get 100's of eyeballs on the product could chase out any lingering errors and make for a very solid print product. If you're running something and it's PbP or accessible via virtual tabletop at a time when I am not working or sleeping, I am in. Any chance the PDF's will get out BEFORE the final product get printed? I'll let John answer this one in the other thread Mike. For those wanting a look at some prepress excerpts of DD Vol 1, I've posted a bunch of stuff for the demo game here . Same. Would definitely be interested in this, Verhaden. I'd like to use these boards, as it's very convenient. I'll broach the question to Fin once DD is released.